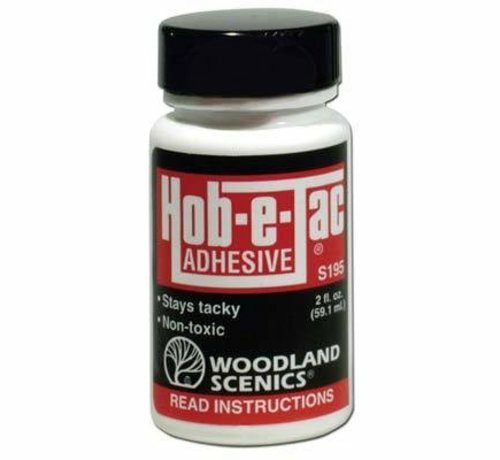 This is A Bottle of Woodland Scenics' Hob-E-Tac Adhesive. 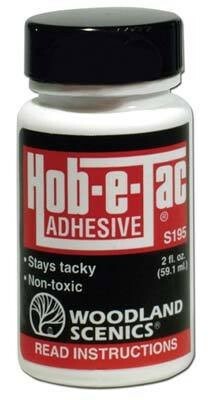 FEATURES: All purpose adhesive that bonds on contact. Nonflammable. Colorless. 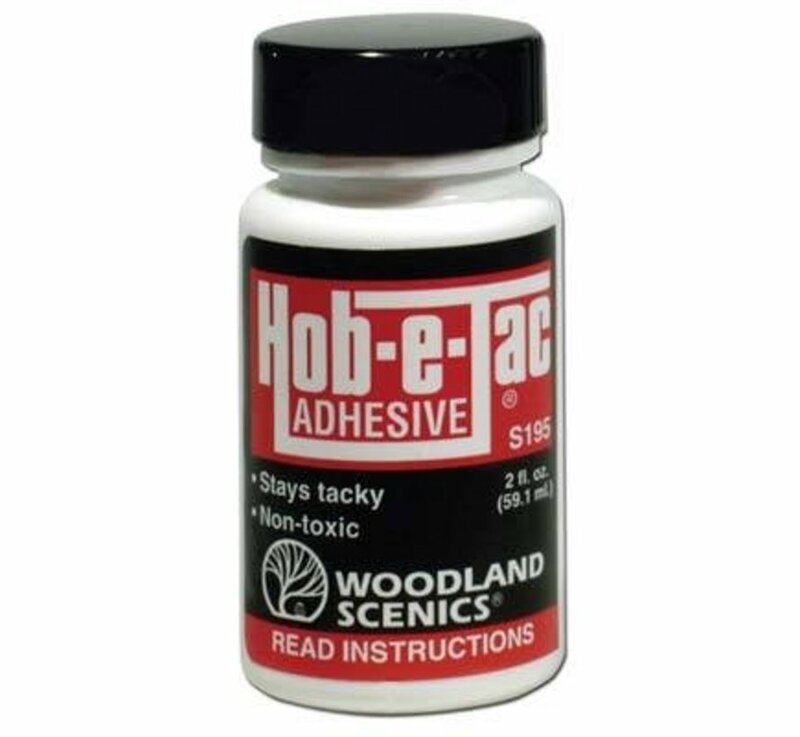 Aggressive, high tack adhesive. 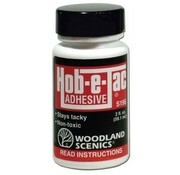 Perfect for making trees and attaching clump-foliage, field grass and foliage clusters. May also be used as a contact adhesive.